It’s probably the filthiest thing in your bathroom. No, it’s not the toilet or even the toilet handle. It’s the toilet plunger! 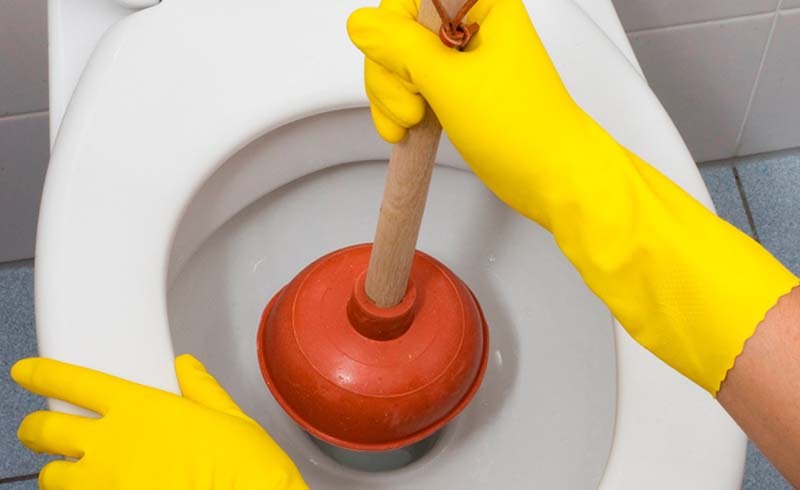 There are several ways to clean a toilet plunger, but according to Benjamin Franklin, a plumbing company, the easiest way to clean your toilet plunger is to soak it directly in a disinfectant right in your toilet bowl! 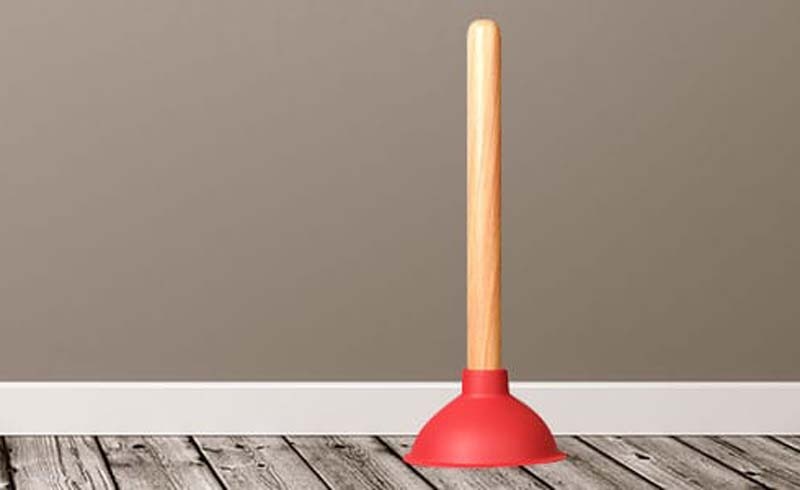 Since toilet plungers can harbor plenty of nasty germs and bacteria including E.coli and salmonella, cleaning your toilet plunger is important. That dirty toilet plunger can spread those germs and bacteria to everything it comes in contact with. To clean your toilet plunger, all you’ll need is some liquid chlorine bleach. Preparation: Wear protective gloves and move towels, rugs and anything else you don’t want to splash bleach on, out of the way. Pour about three cap fulls of liquid chlorine bleach directly into your toilet bowl. Insert the toilet plunger into the bleach/water and swirl it around. After a minute or two of swirling, flush the toilet and rinse the plunger in the fresh toilet water. The plunger is now clean. Let it dry completely in the tub or shower and then put it away. To keep germs and bacteria at bay, repeat this process every time you use your toilet plunger. Note: You can use 5-percent apple cider vinegar in place of the liquid chlorine bleach. Just pour a large quantity of vinegar (1 to 2 cups should do it) in the toilet and follow the same process as you would with bleach.